Bulletproof Screenplay shows you how to make your screenplays bulletproof by interviewing the top screenwriters, story consultants & authors in the film industry. They discuss the craft and business of screenwriting. This is the screenwriting podcast for the rest of us. No fluff. No BS. Just straight talk that will help you on your ... See More screenwriting journey. Film Festival Hacks Podcast pulls back the curtain on the mysterious world of film festivals and explores the festival circuit from both sides of the badge. 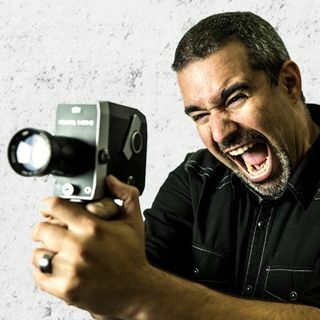 Hosts Alex Ferrari (www.indiefilmhustle.com) is an award-winning​ filmmaker with nearly 600 international film festivals under his belt. He's joined by Chris Holland ... See More (www.filmfestivalsecrets.com), author of Film Festival Secrets: A Handbook for Independent Filmmakers who has worked closely with more than 200 film festivals including Sundance, AFI Fest, and SXSW.